Our Sea Cliff team made great strides last week, speaking at Village Hall. 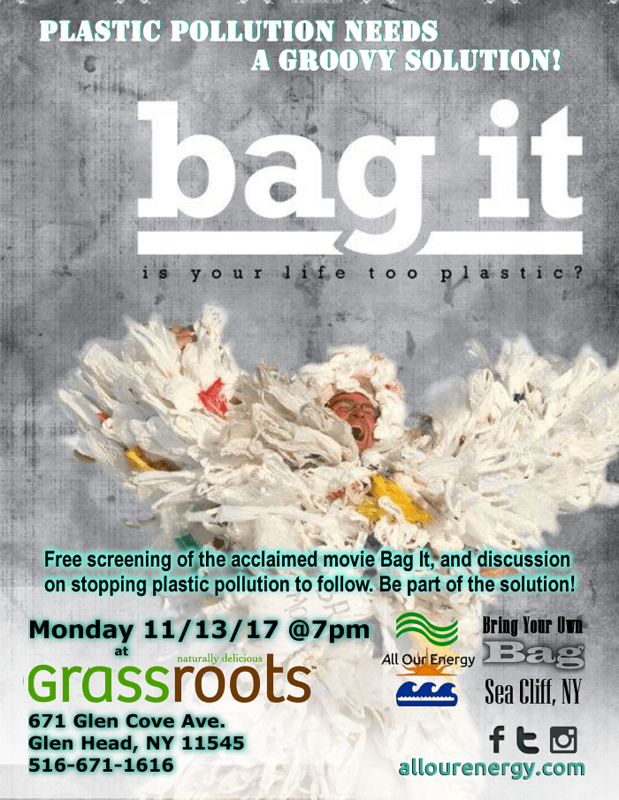 The Village of Sea Cliff is VERY interested in eliminating checkout bag pollution. 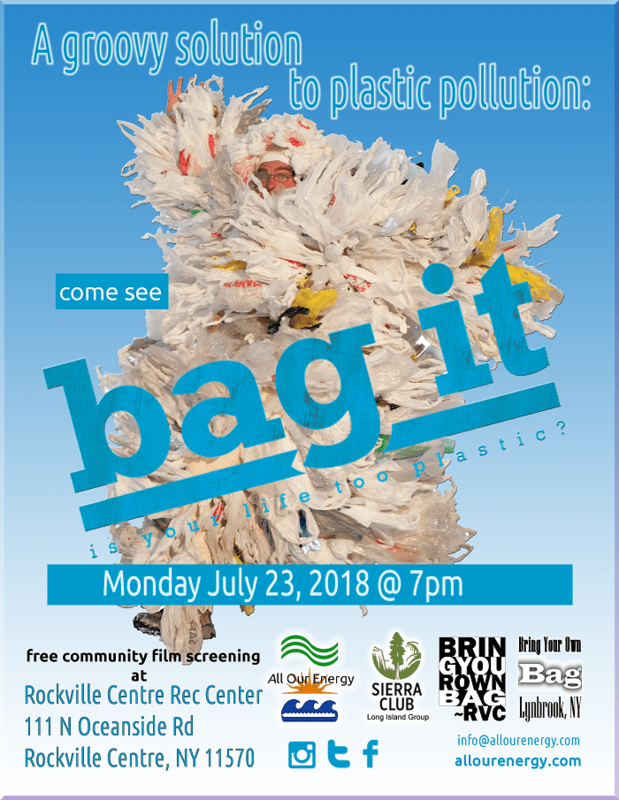 We will be screening Bag It in conjunction with the Village on January 25. Stay tuned for more details. 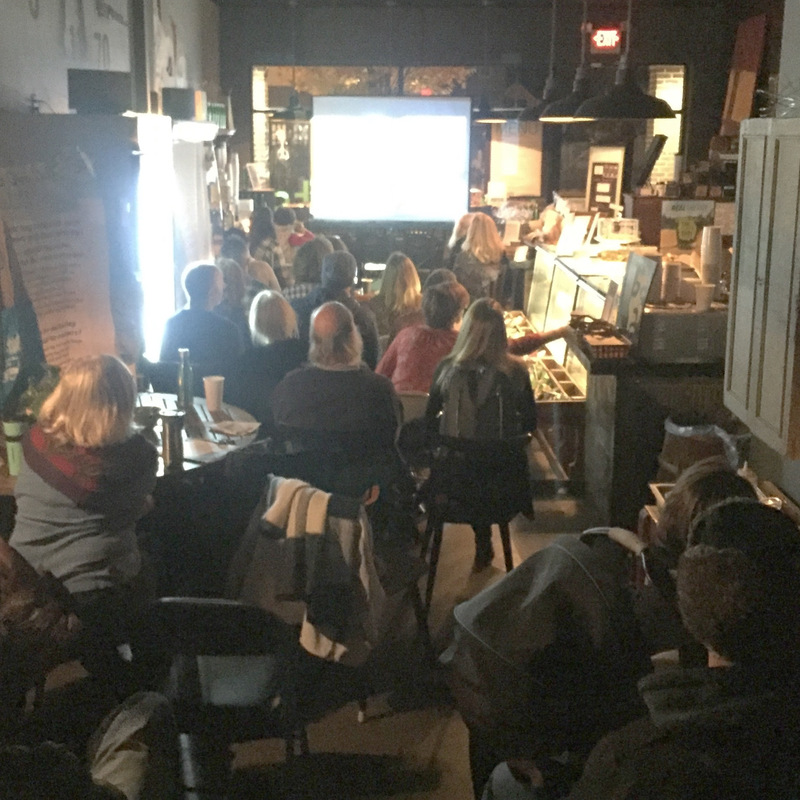 Thanks to everyone who came to see Bag It at Grassroots in Glen Head! Wow, what a motivated group- lets get this done!! So many upcoming events, and the Sea Cliff team is really making huge strides getting the message out! Thanks to Rob and Amy of Grassroots for hosting and donating to the campaign! 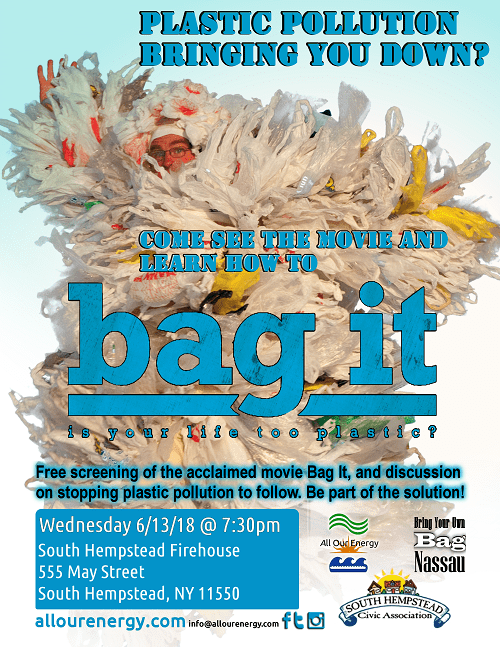 Join us for a screening of the award winning movie “Bag It” and learn about plastic pollution and your part in stopping it. 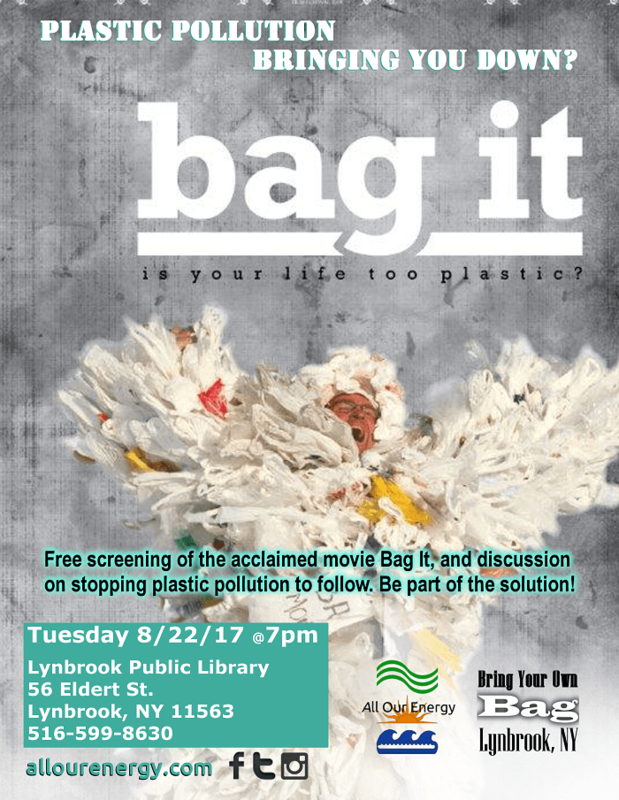 In the film, Jeb Berrier, a regular American man, makes a pledge to stop using plastic bags at the grocery store and has his life completely changed. Take the journey with Jeb and find out if your life is too plastic. Bring your own reusable drink container for refreshments! Campaign kickoff will be August 22..